WOW! 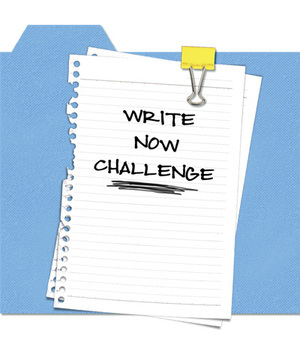 Women On Writing Blog: Write Now! It's not often that inspiration shows up on my mental doorstep, insisting I stop whatever I'm doing and indulge the urge to spill creative juice all over the page. As a matter of fact, I haven't had a creative writing burst in years. Sure, I've penned articles, interviewed authors, and blathered about one thing or another in blog posts, but I'm talking about the act of storytelling--the writing process that makes my heart sing. I miss the early mornings when I dove headfirst into the first draft of my memoir, The Break-Up Diet and the next time I looked up from the screen it was dinnertime and my husband was standing over me asking, "Have you eaten or had anything to drink today?" It always felt like waking up from a dream and realizing the world was still functioning outside of my writing bubble. I don't think I've ever been quite so content as when the images were forming in my mind and the words were filling the pages. A couple days ago, inspiration showed up. The scenes of a new book flowed through my head: the settings, the characters, the dialogue--it all came in a rush like water over a broken levee. I stared at the ceiling of my bedroom and it continued from 1:30am to 3am when I finally willed it to stop, promising I would get up and write it all down in the morning. When morning came, there were too many other things that needed my attention. Duties. Responsibilities. The never-ending, daily To Do List. I've always honored my commitments to others before my needs, but I can't help feeling a little slighted--even when it's my own doing. So, I've decided I'm going to give myself permission to write because it makes me happy. I've promised my muse that I will enter NaNoWriMo this November. And it's a promise I intend to keep. Ah darn. You should always write it down, even briefly, when you get a thought like that. NaNo is fun. I've participated since 2002, won twice, though. It's a challenge, but you can do it!